Miele vacuum cleaners make light work of cleaning your floors. Each Miele vacuum cleaner is designed to help you clean faster and more efficiently and can handle dust, pet hairs and any other dirt that has collected on your floor. If you have pets or children, you’ll know it’s not that easy to maintain spotless floors, but you’ll notice it’s a lot better when you have a Miele vacuum cleaner at your disposal because they’re compact and easy to use round the house. Miele vacuum cleaners can handle wood, laminate, tiles and carpets, so no matter what room you’re in, you’ll always be able to clean the floors. When you’re looking for the easiest way to keep your floors free from dirt and dust, choose a state-of-the-art robot vacuum cleaner and you won’t have to worry about doing the cleaning yourself. Simply charge it up and set it off and it will ensure your floors are kept clean without you having to lift a finger. 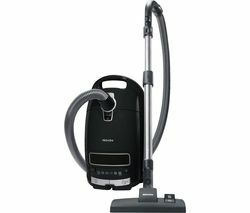 If you’re looking for a reliable and affordable vacuum cleaner for your home, check out our range of Vax vacuum cleaners. 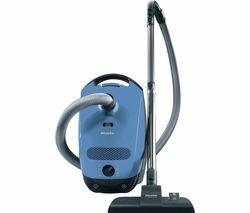 And if you’re looking for a classic vacuum cleaner, take a look at our selection of Hoover vacuum cleaners. Miele vacuum cleaners are ideal if you want to keep your home free from dust and dirt.